Over the past 32 years, HealthWare has grown to be the “one stop shop” for everything a homecare agency could possibly need to grow their business. As a Microsoft Cloud Solution provider, we have extended our services beyond the traditional and proven healthcare offerings. This partnership with Microsoft gives us the power to bundle and support our healthcare applications with Microsoft services. As we continue to consolidate our services around our online offerings, we continue to make life easier for all of our customers. We are excited to announce HealthWare Pulse, a combination of all our best product features and services, all online, enabling agencies to just “load and go.” By utilizing the vast resources and capabilities of “cloud computing,” installing is faster than ever and can scale as your agency grows. Employees will have instant access right from their own device to services and data that they have been assigned rights to. 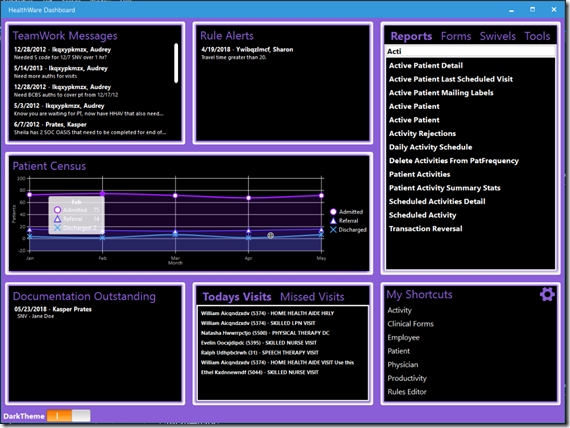 Along with HealthWare Pulse comes customizable role based dashboarding. Now forms, reports, messages from team members, all details that are important to a specific group of employees will be right on their screen when they log in. 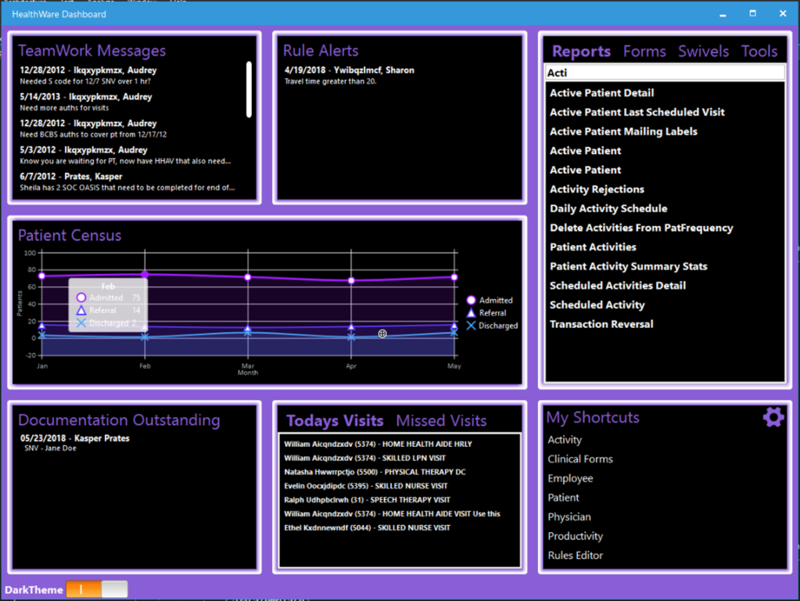 HealthWare provides a number of products and services, including Office 365 and email accounts. With HealthWare Pulse, these services can be combined and maintained easily. When a staff member leaves, you remove their account once and it removes it across anything they’ve had access to within your HealthWare eco-system. Healthware Pulse is an affordable and powerful new option for agencies looking for a full service, online healthcare solution with low monthly rates, as low as $25 a user. For full details on everything that comes with HealthWare Pulse and all our products and services, contact us today!